Maria Pis-Dudot crafts strategies to protect and ensure clients’ reputations remain intact. A seasoned counselor with more than 20 years of experience in the communications field, she has developed, managed and executed a broad range of strategic programs for leading private and public entities throughout the Americas. 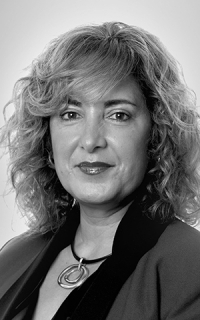 Maria brings to Newlink an extensive background spanning many disciplines, including media relations, crisis and issues management, marketing support, internal communications, investor relations support, public and government affairs. Before joining Newlink, Maria served as regional manager of policy, government and public affairs for Chevron Latin America Downstream. She also worked for AT&T Latin America as director of corporate relations and at Fleishman-Hillard in Miami as senior vice president.